I seem to go in waves craving yummy, homemade smoothies. 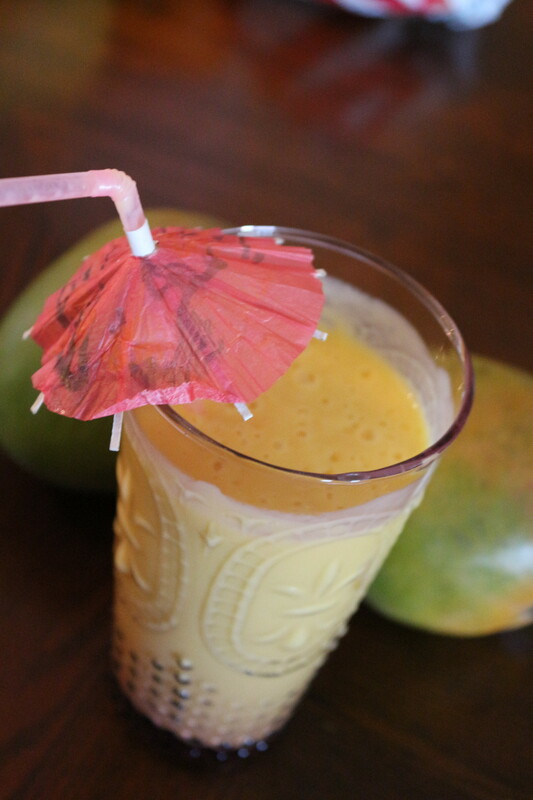 I was on a date/banana/peanut butter kick for a while, and recently created this delicious mango smoothie. It makes a great breakfast or snack. 1. Slice the mango up, remove the peel, and put into a blender. To do this, I cut each long side of the mango off, then score it into chunks and peel it out of the skin. Then I cut off the remaining skin and add the remaining fruit to the blender. 2. Add the milk, yogurt and honey to the blender. 3. Blend on high for about 1 minute. Pour into a glass. Enjoy! This entry was posted in Breakfast, Drinks, Snacks, Sweets and tagged coconut, Gluten Free, Hawaiian Foods, mango, Vegetarian. Bookmark the permalink.